Could and should Taicheng Lions striker Javier Funes be called up for Taiwan. You might be thinking Javi Funes is not a Chinese sounding name and you would be right to think that because Javi is Honduran. So then how would he be eligible to play for Taiwan? So here is the story Funes arrived in Taiwan as a wet behind the ears 16-year-old to complete his studies as he looked for somewhere to play football he found a team in a local expat league. It soon became clear to everyone in the expat league that Javi was a bit special at banging in goal after goal. It also became clear to many other teams that Javi would need to get some ‘special attention’ and it took him a while to learn how to deal with this. Sometimes he would react; sometimes he would lose focus in the game. This was the only way most teams could cope with playing against him. Once he matured and learned how to deal with the ‘special attention’ Javi managed to put all his focus back into playing matches, and this has helped him score even more goals. Often finishing high on the goal-scoring chart in the expat league for a team who were never capable of challenging for the title, this achievement wasn’t lost on the coach of new Taiwan Premier League team Royal Blues. With Royal Blues being the leagues newest team it would be likely that they would be fighting to stay in the league to begin with, and for that reason, Javi would become an integral member of their team – because goals keep you up, at every level goals are the hardest thing to find. In the 2017 Taiwan Premier League season, Javi scored 19 goals for Royal Blues showing exactly his importance to the side in their quest to keep the side playing at the top level. He finished third top scorer, behind Taiwanese striker Chiu I-huan who bagged 20 goals, and Turks and Caicos international Marc Fenelus who scored a whopping 35. This season Javi dropped a bombshell on the Royal Blues squad by announcing he would join Taicheng Lions, and so far Royal Blues have seen what impact that has had on their season so far, by failing to score any goals until their fifth game where they defeated the bottom club NSTC. So far Taicheng Lions have played four league matches, and Javi has scored 9 goals, including two hat-tricks. Which I believe currently puts him on top of the goal scoring chart, there is still a long way to go before the end of the season but if he maintains his good scoring record he will push last season’s top scorer Marc Fenelus all the way. In any league around the world this kind of scoring form would alert the national team management and here at the Tofu Bowl, we are sure they are aware of Javi. Now we get to the point where you’ll naturally say, “but he is Honduran, how can he play for Taiwan?” Well, this is because FIFA’s eligibility rules allow it. FIFA’s eligibility rules state to represent a country you must meet one of four requirements which are as follows: a) be born in the country you want to represent, b) your biological parents were born in the country you want to represent, c) Your grandparents were born for the country you want to represent, and d) you have lived in the country you want to represent continuously for five years after reaching the age of 18. So as things stand Javi has lived in Taiwan for five years, but it is likely one or two of them would be before he turned 18. If he does decide to stay in Taiwan however and meets the requirement he should be considered for the national team. This is down the fact last season he showed he could find the back of the net on the regular, but this season he is showing that it was not just a temporary success as he makes the onion bag ripple week after week. In other East Asian countries like Hong Kong, they have used foreign players who have played in their top division for the national team for some considerable time. We know Hong Kong is a lot more diverse than Taiwan. Although with two expat teams, now playing in the Taiwanese Premier League it reduces the national pool of players to choose. The door then could be open to foreign players who are performing well, have the right attitude, and mentality. The two reasons for it likely being more difficult for the CTFA (Chinese Taipei Football Association) to do this are reasons out of their control. The first problem that would occur from selecting foreigners from the Taiwan Premier League would be Taiwan’s insistence on foreigners taking Taiwanese citizenship not being able to be dual nationals. So say Javi did one day play for Taiwan I believe he would have to become a Taiwanese citzen. This would mean he would have to give up his Honduran nationality, which is a big thing to ask of someone. Then if he becomes a Taiwanese citizen, having not completed any military service I believe Taiwan would then require military service from the foreign person who wishes to become Taiwanese. These you can imagine become be two major stumbling blocks without a doubt. So to go through all this hassle to recruit players, you would want to make sure that they are good enough for the national team. So is Javi good enough? Well to answer this question look at his goalscoring record in the Taiwan Premier league which is excellent. Considering also that he doesn’t play for one of the top two teams – Taipower or Tatung and then you have your answer. Marc Fenelus is by far the best player currently playing in the league, but he has already represented Turks and Caicos at international level so is out of the question, but for Javi, that door is still open to the national team. 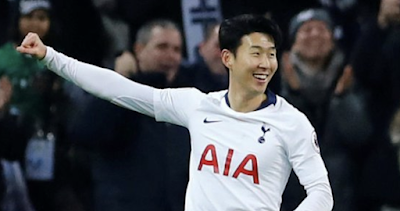 As with most players who represent the national team coming from the Taiwan Premier League then it should be, at least be taken into consideration when he is often consistently at the top of the scoring charts.